Jesus knew that this would be his Final Passover, his Last Paschal Meal or Supper, with his apostles in this world. For he was aware that the time had come for him to leave the world, even though his mission was apparently incomplete and unfinished, and to return to his Father. He realized that he would have to leave his followers in this world, whom he had always loved. But he was determined to demonstrate to them that, "having always loved them, he loved them to the very end", not just in time but in intensity and effectiveness (Jn 13:1). But could he do it? Then how would he do it? Yes, he did do it, - because he also knew that his Father had given him complete power (Jn 13:1,3). This is what, St. Paul reminds the Corinthian Church, Jesus did that last night with his apostles: "He took some bread in his hands … he broke it and said, 'This is my body, which is given for you. Eat this and remember me'. After the meal, Jesus took a cup of wine in his hands and said, 'This is my blood, and with it God makes his new covenant with you. Drink this and remember me'" (1Cor 11:23-25). In a way this double declaration, "This is … This is … ", this double decree, "Eat … Drink … ", and this double demand, "Remember me … Remember me … " is the most pivotal one that Jesus made to his apostles. It was at this Passover Meal that Jesus felt the pain of final parting, as he expressed his longing to have this Last Supper with them (Lk 22:15). On the one hand he had to go and leave them, for that was his Father's decree (Lk 22:22) - and he always did what pleased his Father (Jn 8:29); and also because that was best for them, for only then could he send them the Holy Spirit to be their help (Jn 16:7). But on the other hand he wanted to stay with them (Prov 8:31), just as the two disciples of Emmaus on their part would later on beg him, "Stay with us!" (Lk 24:29). How would he combine these two longings: to return to his Father in heaven and to still remain with his disciples on earth? Yes, he will leave them and yet he will stay with them, just as he was fully divine and yet fully human, 'God-man', for not without reason is his name, 'Emmanuel', 'God is with us', from the beginning to the end of the Gospel (Mt 1:23; 28:20). Jesus has gone indeed, but in a real but 'mysterious' way he has not gone, he is still with us, in what is termed the Real Presence, the Blessed Sacrament. He will not ordinarily be present to our bodily or corporeal sensations of sight and hearing and touch, but to our spiritual insight of faith. His corporeal body has left us, yet leaving behind the mystery or truth of his presence. "This is my body. Thisis my blood" (Mt 26:26-28). It looks, feels and tastes like bread, but it is his real body, and real blood, and with it his soul and divinity. Jesus would later rebuke doubting Thomas, "Do you have faith because you have seen me?" and congratulate all future believers, "The people who have faith in me without seeing me are the ones who are really blessed!" (Jn 1:29). For Jesus in the Blessed Sacrament is the Ark of the New Covenant, the sign of the presence, the love and the power of God (Col 2:9), to whom we make our prayer in the hymn, "Open my eyes, Lord, I want to see Jesus, To reach out and touch him, and say that I love him!" To love is to give and perfect love is to give all, even one's life. And that is what Jesus did by dying and showed by saying "Greater love than this no man hath, that a man lay down his life for his friends" (Jn 15:13). And therefore the martyr's death was the last and best proof of their victorious love for their master, or a mother's greatest joy is to be willing to risk her life in child birth (Jn 16: ). Christ would willingly have undergone, in the words of Hamlet, a thousand deaths to show his love for his followers. But in general, "a man can only die once" (Heb 9:27, and, "Christ having risen from the dead, dies no more" (Rom 6:9). So there is no more chance or occasion to now manifest his love by dying again for us. Jesus has died only once, a bloody death, blood-red sacrifice - but at the last supper Jesus took bread, blessed it, broke it, gave it to his disciples, saying, "This is my body which will be given for you" (Lk 22:19). Taking the cup he gave thanks and gave it to them, saying, "This is my blood which is to poured out for many" (Mt 26:28; Mk 14:24), - and he adds those eternally significant words, "Do this in remembrance of me" (Lk 22:19), so that when the apostles and their successors and his priests down the ages in the Mass say those same words on behalf of Jesus they brings down on the altar the same victim who died once for all on Calvary, they offer the same victim to the Father for the sins of the world, as they take into their hands a life-less bread which gives life for a moment and breathe into it the bread of life and take a cup of wine and bathe it with his blood. Love is union perfect and unending, seeing face to face, as Moses did, a beatific vision. I have loved you with an everlasting love (Jer 31:3). He wanted not to be separated from his own not only in spirit, but in person heart to heart talk. But this is only possible in heaven not on earth and you can't have heaven in earth. Really you can't. Well? Love will want naturally union. How? When he took bread in his hands he did not stop with saying, "This is my body". But he continued and said, "Take and eat" (Mt 26:26). Not simply when he took the wine did he say, "This is my blood", but "drink all of you from this of this" (Mk 26:27). For he had said at Capernaum, "Amen, amen, I say to you unless you eat the flesh of the Son of man and drink his blood you shall not have life in you. He who eats my flesh and drinks my blood has everlasting life, and I will raise him up on the last day. For my flesh is food indeed, and my blood is drink indeed. He who eats me, he shall live because of me" (Jn 6:54-56,58). In Communion Jesus gives himself truly but hidden from our eyes. He is united and is one with us, which we don't experience corporeally. The union is for the moment but real. It is not heaven in heaven but a heaven on earth. He could not give us a perfect union but he gave the next best thing comm-union, like John resting on the heart of Jesus. If you do not eat the flesh of the son of man and drink his blood you will have no life in you (Jn 6:53). For he gave himself as bread to be eaten for the life of the world (Jn 6:51). At the beginning of the Passion narrative John says that Jesus loved his apostles to the end (Jn 13:1) and at the conclusion he says that Jesus cried out, "Everything is done" or "mission accomplished" (Jn 19:30). For with it God has made a new covenant with man (Mt 26:28; Mk 14:24; Lk 22:20) and we need to put it into effect by doing, as Jesus asks us, this as a memorial, a remembrance of him, which is not a mere emotional souvenir but a mystical but real experience (Lk 22:19; 1Cor 11:24,25). This is the mystery of our faith that we proclaim at every Mass! 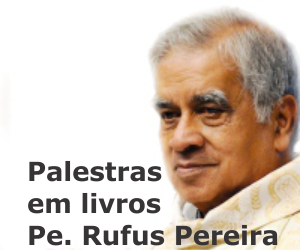 Jesus sabia que esta seria sua última Páscoa, sua última refeição pascal ou Ceia, com os apóstolos neste mundo. Ele estava ciente de que havia chegado a hora de ele ir embora do mundo, mesmo com sua missão aparentemente incompleta e inacabada, para voltar a seu pai. Ele percebeu que teria de deixar seus seguidores neste mundo, a quem ele sempre amou. Mas ele estava determinado a demonstrar-lhes que, "tendo sempre os amado, amá-los-ia até o fim", e não apenas no tempo, mas em intensidade e eficácia (Jo 13:01). Mas ele poderia fazê-lo? Então como é que ele fez isso? Sim, ele fez isso, - porque ele também sabia que seu pai lhe dera poder total (Jo 13:1,3). Isto é o que, São Paulo lembra a igreja de Corinto, Jesus passou a última noite com seus apóstolos: "Ele tomou o pão em suas mãos... partiu-o e disse: 'Isto é o meu corpo que é dado por vós, coma. E lembrem-se de mim". Após a refeição, Jesus tomou uma taça de vinho em suas mãos e disse: 'este é o meu sangue, e com isso Deus faz a sua nova aliança com vocês. Beba isso e lembrem-se de mim" (1 Coríntios 11:23 -25). De certa forma esta declaração duplicada: "Isto é meu corpo... isto é meu sangue... ", e " Coma... beba... ", essa dupla exigência, "Lembra-te de mim... lembre-se de mim..." é o mais importante que Jesus deixou para os apóstolos. Foi nessa refeição da Páscoa que Jesus sentiu a dor da despedida final, como ele expressou seu desejo de ter esta última ceia com eles (Lc 22:15). Por um lado, ele tinha que ir e deixá-los, porque foi a ordem de seu Pai (Lc 22:22) - e ele sempre fez o que agradava ao Pai (Jo 8:29), e também porque era melhor para eles, pois só então ele poderia enviar-lhes o Espírito Santo para ser a sua ajuda (Jo 16:07). Mas, por outro lado, ele queria ficar com eles (Provérbios 8:31), assim como os dois discípulos de Emaús, de sua parte, mais tarde, em pedir-lhe: "Fique conosco!" (Lc 24:29). Como ele iria combinar esses dois desejos: Voltar a seu Pai no ceu e ainda permanecer com seus discípulos na Terra? Sim, ele vai deixá-los e ainda assim ele vai ficar com eles, assim como ele era totalmente divino e ainda completamente humano, "Deus - homem", pois não sem razão é o seu nome, 'Emmanuel', 'Deus está conosco', desde o início até o final do Evangelho (Mt 1:23; 28:20). Jesus foi de fato, mas de uma forma real, mas 'misteriosa', ele não morreu, ele ainda está conosco, como é chamado a Presença Real, no Santíssimo Sacramento. Ele não vai estar presente normalmente em nosso corpo ou sensações corporais da visão e da audição e tato, mas a nossa visão espiritual da fé. Seu corpo físico nos deixou, mas deixando para trás o mistério ou a verdade de sua presença. "Este é o meu corpo. Este é o meu sangue" (Mt 26:26-28). Olha, sente e tem gosto de pão, mas é o seu corpo real, e sangue real, e com ele a sua alma e divindade. Jesus repreenderia Tomé: "Você tem fé, porque me viste? " e felicitaria todos os que nele creram: "As pessoas que têm fé em mim sem me ver são os únicos que são realmente abençoados!" (Jo 01:29). Para Jesus o Santíssimo Sacramento é a Arca da Nova Aliança, sinal da presença, o amor e o poder de Deus (Cl 2:09), a quem devemos fazer a nossa oração no hino, "Abra meus olhos, Senhor, eu quero ver Jesus, para chegar e tocá-lo, e dizer que eu o amo!" Amar é dar e amor perfeito é dar tudo, até mesmo a própria vida. E é isso que Jesus fez ao morrer e mostrou, dizendo: "Maior amor do que este homem não tem, de dar alguém a sua vida pelos seus amigos" (Jo 15:13). E, portanto, a morte do mártir foi a última e melhor prova de seu amor vitorioso por seu mestre, ou maior alegria de uma mãe é estar disposto a arriscar sua vida no nascimento da criança (Jo 16). Cristo de bom grado foi submetido, nas palavras de Hamlet, a mil mortes para mostrar o seu amor por seus seguidores. Mas, em geral "um homem só morre uma vez" (Hb 9:27, e "Cristo ter ressuscitado dentre os mortos, já não morre mais" (Rm 6:09). Portanto, não há mais uma chance ou oportunidade de se manifestar agora. Seu amor ao morrer novamente para nós Jesus morreu apenas uma vez, uma morte sangrenta, o sacrifício vermelho-sangue -, mas na última ceia Jesus tomou o pão, abençoou-o, partiu-o, deu-o aos seus discípulos, dizendo: " Este é o meu corpo que será entregue por vós. " (Lc 22:19) Tomando o cálice deu graças e entregou-lho, dizendo: "Este é o meu sangue, que é derramado por muitos" (Mt 26:28; Mc 14: 24) - e acrescenta estas palavras eternamente significativas, "Fazei isto em memória de mim" (Lc 22:19), de modo que, quando os apóstolos e seus sucessores, e seus padres, ao longo dos séculos, na Missa, disse essas mesmas palavras em nome de Jesus, que traz sobre o altar a mesma vítima que morreu uma vez por todas no Calvário, eles oferecem a mesma vítima ao Pai pelos pecados do mundo, como eles têm em suas mãos o pão da vida, que dá no último suspiro de vida, onde o pão da vida e toma um copo de vinho para banhá-lo com seu sangue. Jesus não morre novamente, mas ele é o mesmo que Cristo morreu uma vez por todas por nossos pecados. Ele volta a ser a vítima do Calvário a cada dia para ser a vítima o nosso sacrifício, o Sacrifício da Missa, que ele mesmo ofereceu o corpo e o sangue de uma vez por todas (Hb 9:26-28), para nos libertar do pecado e da morte, e confiou à sua igreja para ela fazer a mesma oferta, através do pão e do vinho. O amor é a união perfeita e eterna, vendo-se face a face, como Moisés, a visão beatífica, Eu vos tenho amado com um amor eterno (Jr 31:3). Desejo não ser separado de mim próprio, não só em espírito, mas no coração. Mas isso só é possível no ceu, não na terra e você não pode ter o ceu na terra. Realmente você não pode. Bem? O amor vai requerer, naturalmente, essa união. Como? Quando ele tomou o pão em suas mãos, ele não parou dizendo: "Este é o meu corpo - mas ele continuou e disse - tomai e comei" (Mt 26:26). Não foi apenas quando ele tomou o vinho que ele disse: "Este é o meu sangue ", mas "bebei todos vocês a partir desta taça" (Mc 26:27). Para ele tinha dito em Cafarnaum, "Amém, amém, eu vos digo se não comerdes a carne do Filho do Homem e não beberdes o seu sangue não tereis a vida em vós. Aquele que come a minha carne e bebe o meu sangue tem a vida eterna, e eu o ressuscitarei no último dia. Porque a minha carne é verdadeiramente comida e o meu sangue é verdadeiramente bebido. Aquele que me come, viverá por mim"(Jo 6:54-56,58). Na comunhão Jesus se dá realmente, mas escondido de nossos olhos. Ele está unido e é um conosco, e nós não experimentamos corporalmente. A união é momentânea, mas real. Não é o paraíso no ceu, mas um paraíso na terra. Ele não poderia nos dar uma união perfeita, mas ele nos deu o melhor, a sua paz, como João descansando no coração de Jesus. Se não comerdes a carne do Filho do Homem e não beberdes o seu sangue não terá a vida em vós (Jo 6:53). Pois ele deu a si mesmo como pão para ser comido para dar vida do mundo (Jo 6:51). No início da narrativa da Paixão João diz que Jesus amaria seus apóstolos até o fim (Jo 13,1) e no final ele diz que Jesus clamou: "Tudo está feito" ou "missão cumprida" (Jo 19:30). Com isso Deus fez uma nova aliança com o homem (Mt 26:28, Mc 14:24, Lc 22:20) e precisamos colocá-lo em prática, fazendo, como Jesus nos pede, como um memorial, uma lembrança dele, o que não é uma mera lembrança emocional, mas uma experiência mística, real ( Lc 22,19; 1Co 11:24,25). Este é o mistério da nossa fé que proclamamos em cada missa!